江苏省高校自然科学研究重大项目 “过去 2000 年全球和东亚季风气候变化的模拟研究”，2014-2017, 总经费15万元. 1. Wang B, Xiang B Q, Li J, Webster P J, Rajeevan M N, Liu J, Ha K-J. Rethinking Indian monsoon rainfall prediction in the context of recent global warming. Nature Communications, 2015, 6:7154, 1-8, DOI: 10.1038/ncomms8154. 2. Wang Z Y, Li Y, Liu B, Liu J. Global Climate Internal Variability in a 2000-year Control Simulation with Community Earth System Model (CESM). Chin. Geogra. Sci., 2015, 25(3): 263–273. 3. Yan M, Wang B, Liu J. Global monsoon change during the Last Glacial Maximum: a multi?model study. Climate Dynamice, 2015(online), DOI 10.1007/s00382-015-2841-5. 4. Jiang D B, Yu G, Zhao P, Chen X, Liu J, and other co-authors. Paleoclimate Modeling in China: A review. Advances in Atmospheric Sciences, 2015, 32: 250–275. 5. Liu F, Chai J, Huang G, Liu J, Chen Z Y. Modulation of decadal ENSO-like variation by effective solar radiation. Dynamics of Atmospheres and Oceans, 2015, 72: 52-61. 6. Lee J-Y, Wang B, Seo K-H, Ha K-J, Kitoh A, Liu J. Effects of mountain uplift on global monsoon precipitation. Asia-Pac. J. Atmos. Sci., 2015, 51(3): 275-290. 7. 孙炜毅，刘健，王志远. 过去2000年东亚夏季风降水百年际变化特征及成因的模拟研究. 地球科学进展，2015, 30(7): 780－790. 8. 葛全胜，华中，郑景云，方修琦，萧凌波，刘健，杨保. 过去2000年全球典型暖期的形成机制及其影响. 科学通报，2015, 60(18): 1727－1734. 9. 葛全胜，郑景云，方修琦，杨保，刘健. 过去2000年全球典型暖期的形成机制及其影响研究. 中国基础科学, 2015，6: 22－27. 10. Yim S-Y, Wang B, Liu J, et al. A comparison of regional monsoon variability using monsoon indices. Climate Dynamics, 2014, 43(5-6): 1423-1437. 11. Wang B, Yim S-Y, Lee J-Y, Liu J, and Ha K-J. Future change of Asian-Australian monsoon under RCP 4.5 anthropogenic warming scenario. Climate Dynamics, 2014, 42: 83–100. 12. Liu J B, Chen F H, Chen J H, Zhang X J, Liu J, and Bloemendal J. Weakening of the East Asian summer monsoon at 1000–1100 A.D. within the Medieval Climate Anomaly: Possible linkage to changes in the Indian Ocean-western Pacific. Journal of Geophysical Research: Atmospheres, 2014, 119(5): 2209–2219. 13. 王志远, 刘健. 过去2000年全球典型暖期特征与机制的模拟研究. 第四纪研究，2014, 34(6): 1136-1145. 14. 严蜜, 王志远, 刘健. 中国过去1500年典型暖期气候的模拟研究. 第四纪研究，2014，34(6): 1166-1175. 15. Jian Liu, Bin Wang, Mark A. Cane, So-Young Yim, June-Yi Lee. Divergent global precipitation changes induced by natural versus anthropogenic forcing. Nature, 2013, 493: 656-659. DOI: 10.1038/nature11784 . 16. Bin Wang, Jian Liu, Hyung-Jin Kim, Peter J. Webster, So-Young Yim, Baoqiang Xiang.Northern Hemisphere summer monsoon intensified by mega-ENSO and AMO. PNAS, 2013, 110:5347-5352. DOI: 10.1073/pnas.1219405110. 17. Yan Mi, Wang Zhiyuan, Jed Oliver Kaplan, Liu Jian, Min Shen, Wang Sumin. Comparison Between Reconstructions of Global Anthropogenic Land Cover Change over Past Two Millennia. Chinese Geograpgical Science, 2013, 23: 131-146. DOI: 10.1007/s11769-013-0596-7. 18. 葛全胜, 刘健, 方修琦, 杨保, 郝志新, 邵雪梅, 郑景云. 过去2000年冷暖变化的基本特征与主要暖期. 地理学报, 2013, 68(5): 579-592. 20. 栗瑶, 王红丽, 刘健，王苏民. 黄河上游地区近千年气候变化的模拟重建. 干旱区地理, 2013, 36(6), 1023-1031. 22. Jian Liu, Bin Wang, So-Young Yim, June-Yi Lee, Jong-Ghap Jhun, Kyung-Ja Ha. What drives the global summer monsoon over the past millennium? Climate Dynamics, 2012, 39: 1063-1072. DOI 10.1007/ s00382-012-1360-x. 23. Bin Wang, Jian Liu, Hyung-Jin Kim, Peter J. Webster, So-Young Yim. Recent Change of the Global Monsoon Precipitation (1979-2008). Climate Dynamics, 2012, 39: 112-1135. DOI 10.1007/s00382-011- 1266-z. 24. 严蜜，钱永甫，刘健. 西太平洋副热带高压强度和东亚地表热通量的年代际变化特征及关系. 气象学报，2011，69(4): 610-619. 25. 王红丽，刘健，王志远，王苏民，况雪源. 近千年中国东部夏季气候百年尺度变化的模拟分析. 科学通报，2011，56(19): 1562-1567. 28. Yan Mi, Qian Yongfu, Liu Jian. Interdecadal variations of the western Pacific sub-tropical high and surface heat flux over East Asia and their relationship. Acta Meteor. Sinica, 2011, 25(2): 156–165. 29. Wang Hongli, Kuang Xueyuan, Liu Jian. Application of Back Propagation Neural Network in Paleoclimate. 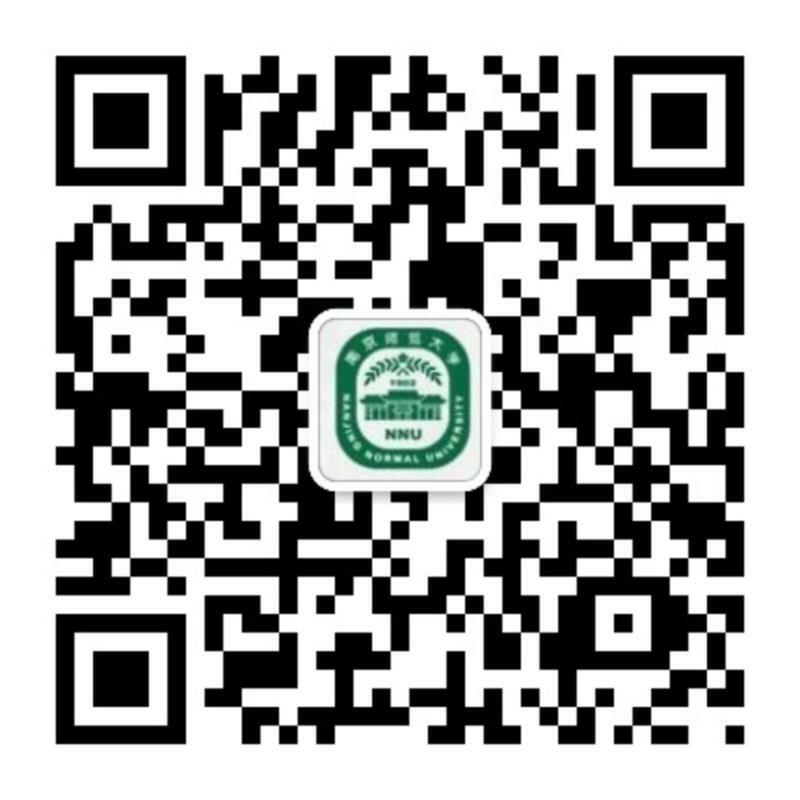 2011 International Conference on Information Science and Technology, 26-28 March, 2011, Nanjing, pp: 1292-1295. 31. Wang Hongli，Liu Jian，Wang Zhiyuan，Wang Sumin，Kuang Xueyuan. Simulated analysis of summer climate on centennial time scale in eastern China during the last millennium. Chinese Science Bulletin, 2011, 56(21): 2229-2235. 32. Jian Liu, Bin Wang, Hongli Wang, Xueyuan Kuang, Ruyuan Ti. Forced response of the East Asian summer monsoon over the past millennium：Results from a coupled model simulation. Climate Dynamics, 2011, 36:323-336. DOI 10.1007/s00382-009-0693-6. 33. Bin Wang，Qinghua Ding, Jian Liu. Concept of global monsoon. The Global Monsoon System: Research and Forecast (eds, Chih-Pei Chang, Yihui Ding, Ngar-Cheung Lau, Richard H. Johnson, Bin Wang, Tetsuzo Yasunari), 2011. 35. 高建慧，刘健. 近千年全球温度变化特征及成因的模拟分析. 鲁东大学学报 （自然科学版）， 2010，26(3)：266-270. 37. Gu Yajin, Wang Hongli, Liu Jian. Latitudinal-dependent Response of East Asian Summer Monsoon to External Forcing in the Last Millennium. Acta Meteor. Sinica, 2010, 24(6): 671-679. 38. Yang B, Kang XC, Brauning A, Liu J, Qin C, Liu JJ. A 622-year regional temperature history of southeast Tibet derived from tree ring. Holocene, 2010, 20(2): 181-190. 39. Bin Wang, Zhiwei Wu, Chih-Pei Chang, Jian Liu, Jianping Li, and Tianjun Zhou. Another Look at Interannual to Interdecadal Variations of the East Asian Winter Monsoon: The Northern and Southern Temperature Modes. Journal of Climate, 2010, 23: 1495-1512. DOI: 10.1175 /2009JCLI 3243.1. 45. Ge Yu, Huadong Shen, and Jian Liu. Impacts of climate change on historical locust outbreaks in China. Journal of Geophysical Research, 2009, 114, D18104, doi:10.1029/2009JD011833. 53. Pingzhong Zhang, Hai Cheng, R. Lawrence Edwards, Fahu Chen, Yongjin Wang, Xunlin Yang, Jian Liu, Ming Tan, Xianfeng Wang, Jinghua Liu, Chunlei An, Zhibo Dai, Jing Zhou, Dezhong Zhang, Jihong Jia, Liya Jin, Kathleen R. Johnson. A Test of Climate, Sun, and Culture Relationships from an 1810-Year Chinese Cave Record. Science, 2008, 940-942. 54. Jian Liu, Bin Wang, and Jing Yang, 2008: Forced and internal modes of variability of the East Asian summer monsoon. Climate of the Past, 2008, 4: 225-233. 1. Jian Liu, Bin Wang, Mark A. Cane, So-Young Yim, June-Yi Lee. Divergent global precipitation changes induced by natural versus anthropogenic forcing. Nature, 2013, 493: 656-659. DOI: 10.1038/nature11784 . 2. Bin Wang, Jian Liu, Hyung-Jin Kim, Peter J. Webster, So-Young Yim, Baoqiang Xiang.Northern Hemisphere summer monsoon intensified by mega-ENSO and AMO. PNAS, 2013, 110:5347-5352. DOI: 10.1073/pnas.1219405110. 3. Wang B, Xiang B Q, Li J, Webster P J, Rajeevan M N, Liu J, Ha K-J. Rethinking Indian monsoon rainfall prediction in the context of recent global warming. Nature Communications, 2015, 6:7154, 1-8, DOI: 10.1038/ncomms8154. 4. Jian Liu, Bin Wang, So-Young Yim, June-Yi Lee, Jong-Ghap Jhun, Kyung-Ja Ha. What drives the global summer monsoon over the past millennium? Climate Dynamics, 2012, 39: 1063-1072. DOI 10.1007/ s00382-012-1360-x. 5. Yan M, Wang B, Liu J. Global monsoon change during the Last Glacial Maximum: a multi?model study. Climate Dynamice, 2015(online), DOI 10.1007/s00382-015-2841-5. 6. Yim S-Y, Wang B, Liu J, Wu Z W. A comparison of regional monsoon variability using monsoon indices. Climate Dynamics, 2014, 43(5-6): 1423-1437. 7. Bin Wang, Jian Liu, Hyung-Jin Kim, Peter J. Webster, So-Young Yim. Recent Change of the Global Monsoon Precipitation (1979-2008). Climate Dynamics, 2012, 39: 112-1135. DOI 10.1007/s00382-011- 1266-z. 8. Jian Liu, Bin Wang, Hongli Wang, Xueyuan Kuang, Ruyuan Ti. Forced response of the East Asian summer monsoon over the past millennium：Results from a coupled model simulation. Climate Dynamics, 2011, 36:323-336. DOI 10.1007/s00382-009-0693-6. 10. Jian Liu, Bin Wang, and Jing Yang, 2008: Forced and internal modes of variability of the East Asian summer monsoon. Climate of the Past, 2008, 4: 225-233.